Steven A. Rosenberg, M.D., Ph.D., of the Center for Cancer Research (CCR) at the National Cancer Institute (NCI), has been named a recipient of the 2018 Albany Medical Center Prize in Medicine and Biomedical Research for his leading role in the development of immunotherapy to treat cancer. Dr. Rosenberg will share the honor with fellow immunotherapy researchers James P. Allison, Ph.D., and Carl H. June, M.D. Dr. Rosenberg is chief of the surgery branch at NCI, part of the National Institutes of Health. Dr. Allison is chair of the Department of Immunology at the University of Texas MD Anderson Cancer Center in Houston. Dr. June is director of the Center for Cellular Immunotherapy in the Abramson Cancer Center at the University of Pennsylvania in Philadelphia. Dr. Allison and Dr. June are supported by NCI grants and conduct research at NCI-designated cancer centers. "We congratulate these amazing scientists for receiving this prestigious award. Their visionary work exemplifies the value of the national cancer program. Each has had a long history of NCI support and I celebrate their achievement," said Ned Sharpless, M.D., director of NCI. 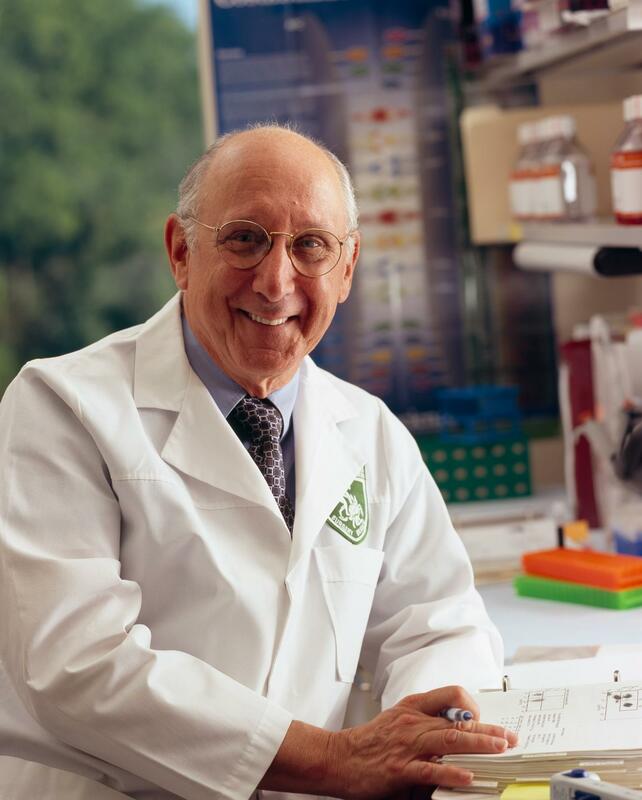 "Dr. Rosenberg is a pioneer whose immunotherapy work has advanced cancer treatment to an immeasurable degree. His innovations have changed patients' lives." The award has been given annually since 2001 to "those who have altered the course of medical research," according to the organization. A statement from the Albany Medical Center said the prize is being awarded to "three visionary scientists whose work has led to a revolutionary new way to treat cancer and other diseases." "Because of the work of these three researchers, the nascent field of immunotherapy has already had spectacular success, leading to effective mitigation and often cures for thousands of cancer and HIV patients whose diseases were not treatable by other methods," said Vincent Verdile, M.D., the Lynne and Mark Groban Distinguished Dean of Albany Medical College and chair of the Albany Prize National Selection Committee. "Their impact on the development of cancer immunotherapy – and where it goes from here – is unsurpassed." When Dr. Rosenberg started at NCI in the 1970s, little was known about T lymphocyte function in cancer. He became the first to develop effective immunotherapies and gene therapies for selected patients with advanced cancer and to successfully insert foreign genes into humans. His studies of the adoptive cell transfer (ACT) of genetically modified lymphocytes have resulted in the regression of metastatic cancer in patients with melanoma, sarcomas, lymphomas, and other cancers. In October 2017, the Food and Drug Administration approved a form of immunotherapy called CAR T-cell therapy initially developed by Dr. Rosenberg and colleagues for certain lymphomas. His current research is aimed at extending ACT to patients with common solid cancers. In June, findings were published on a new approach Dr. Rosenberg developed using a modified form of ACT that led to the complete regression of breast cancer in a patient who was unresponsive to all other treatments. "Steve Rosenberg is a medical trailblazer who envisioned before anyone else a revolutionary new approach to cancer therapy that will soon be taken for granted," said Tom Misteli, Ph.D., director of CCR at NCI. "In his work over decades at NCI, he has taken full advantage of the ability provided by the NCI Intramural Research program to pursue high-risk, long-term research and we are fortunate to have him as a colleague." The Albany Medical Center Prize was established in 2000 by the late Morris "Marty" Silverman to honor scientists whose work has demonstrated significant outcomes that offer medical value of national or international importance. A $50 million gift commitment from the Marty and Dorothy Silverman Foundation provides for the prize to be awarded annually for 100 years. Three previous Nobel Prize winners have been among the researchers honored, and five Albany Prize recipients have gone on to win the Nobel Prize. "I'm honored to receive this award, and to be recognized with such luminaries in this field," Dr. Rosenberg said. "While in some ways we're still just at the start of seeing what immunotherapy can do, every day we're seeing more progress, and we are confident that this treatment will take dramatic steps forward in the years to come." The prize will be awarded during a celebration on Wednesday, Sept. 26, in Albany, New York. About the Center for Cancer Research (CCR): CCR comprises nearly 250 teams conducting basic, translational, and clinical research in the NCI intramural program–an environment supporting innovative science aimed at improving human health. CCR's clinical program is housed at the NIH Clinical Center–the world's largest hospital dedicated to clinical research. For more information about CCR and its programs, visit ccr.cancer.gov.